Eastboud I-70 closed due to an accident involving two semi-trucks. 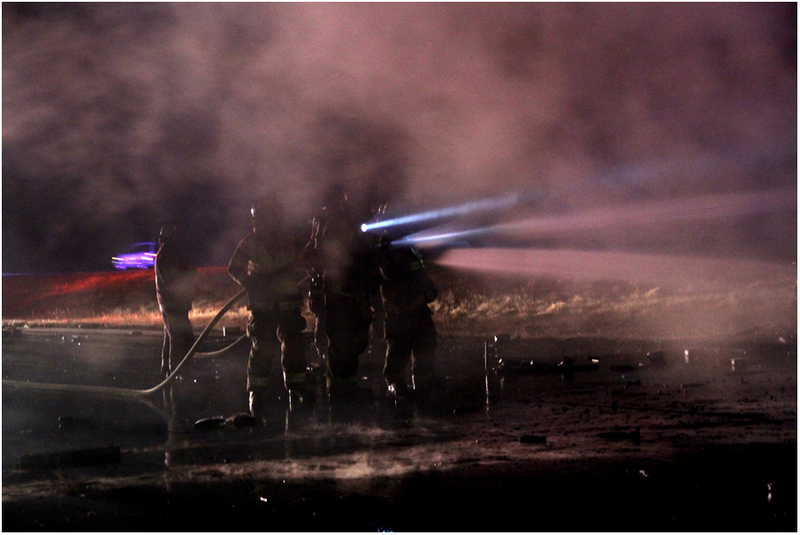 A semi bearing the company logo of the Car Quest auto parts store was on fire pointing west in the eastbound lane of I-70 at the 365 Mile Marker at 9:20 p.m. 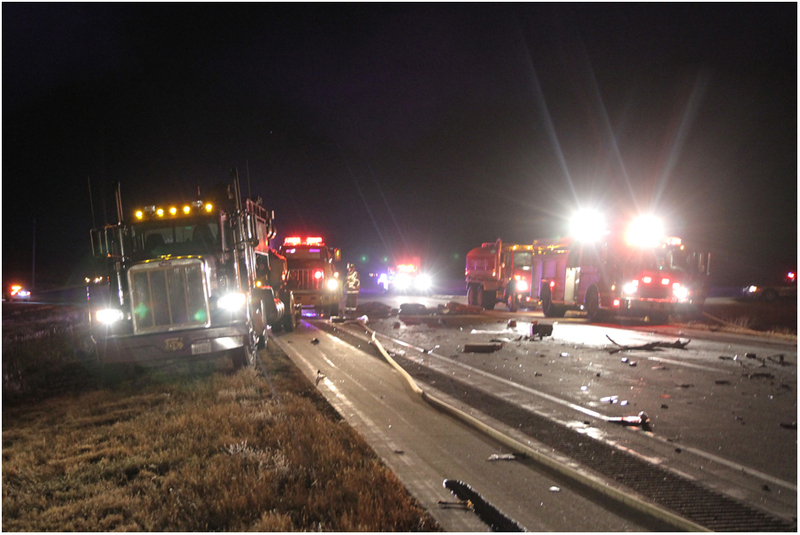 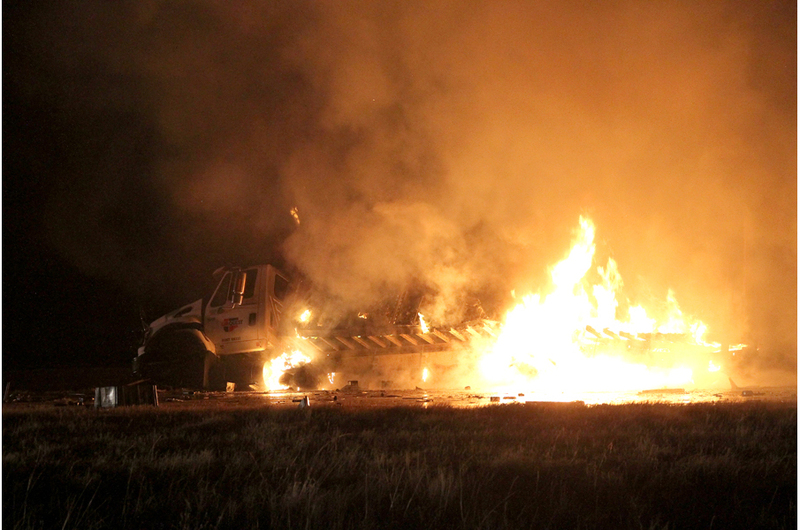 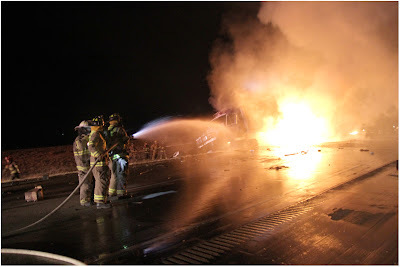 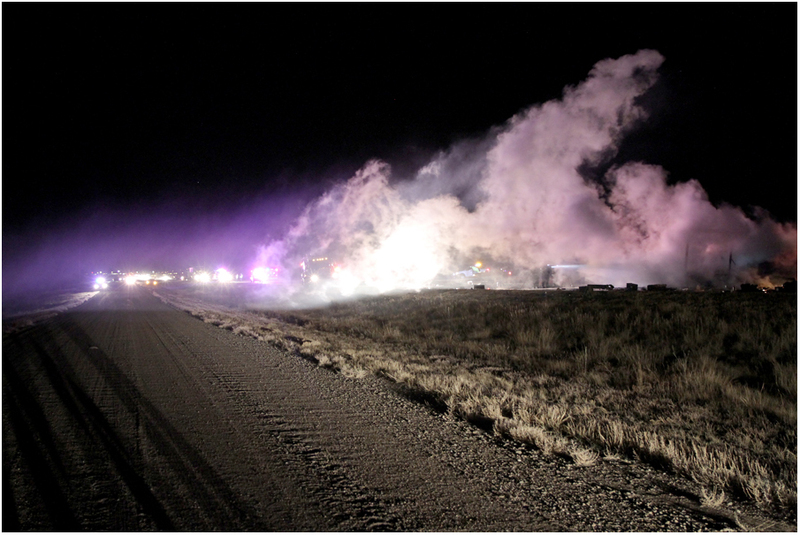 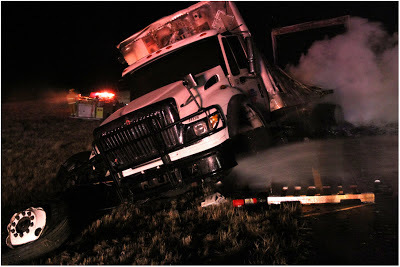 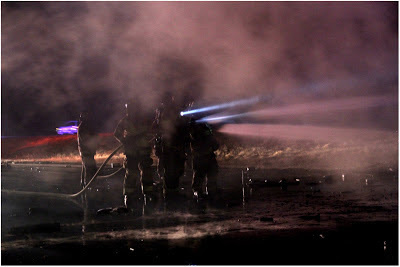 The semi was completely engulfed and Limon Fire was on scene when we arrived at 9:25 p.m. The entire scene was being controlled by Limon Police Department and the Colorado State Patrol. 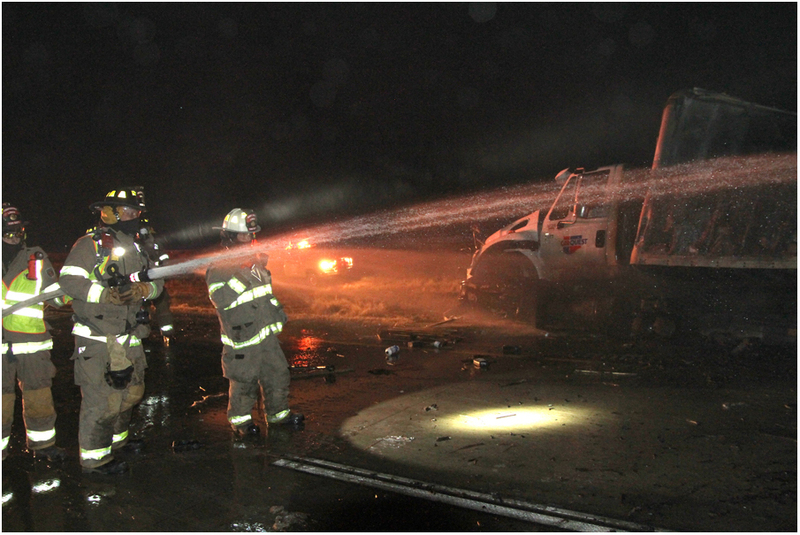 We were able to capture the following pictures before the accident cleanup began assisted by Colorado Department of Transportation and their snow plows that were used to clear auto parts and bottles of oil from the roadway. Complete accident details will be in next week's paper or as soon as accident info becomes available from the Colorado State Patrol.